The Boston major is coming, and the revised format adds a new type of significance to the upcoming matches. The teams coming from the minor qualifiers will now find themselves remembered as being part of the major in earnest, with stickers and inclusion in the increasingly impossible “Pick’Ems” that fans hold so dear. While these teams are certainly not among the favorites to win the event as a whole, some of these teams have the potential to cause significant upsets en route to the final, in what is inarguably the most wide open major we’ve had to date. Let’s address the Chinese team TyLoo not being there. While many simply shrugged their shoulders and intoned “them’s the breaks,” it’s impossible to suitably express my disappointment about everything that has occurred in this case. Visa problems are an ongoing issue that esports collectively needs to conquer. Great strides have been made since the day where a European player getting an athletic visa to compete in the United States was considered worthy of national news coverage. Ancient history now, I suppose, yet through the usual mix of last minute event scheduling, lack of awareness about esports, and good old-fashioned incompetence, we still see international tournaments consistently making announcements about players not being able to attend. People tend to reach for tired and mostly untrue explanations, but in reality, I think this is a nut that should be pretty easy to crack, a yawning pistachio of a problem. Still, even if it is the case that nothing could have been done to avoid Hansel "BnTeT" Ferdinand not being able to attend the major, due to not having the requisite paperwork. There is nothing in my mind that excuses the decision of someone who accepted the role of being a stand-in, suddenly reneging on that promise, and now they have left the TyLoo organization. I’m sure this storyline will be played out by the time this sees print, but Luis "peacemaker" Tadeu’s decision to not honor this agreement is one I honestly cannot ever see a rationale for, especially as it seems to revolve around money. In my mind, even in these far from ideal circumstances, it’d be a career high point to play in a major, even as a retired player-turned-coach. Sure, you might not be able to hang with the pros anymore, but there are two words every washed-up former competitor should be asking. They are “What. If.” People asking “how much” rarely get respect from sports fans. Not to mention, this completely absurd deadlock over money and merchandise deprives four professionals, who qualified fair and square, of their right to compete at the event. Who knows if they will ever get another chance to do so? Perhaps it is expecting too much that a coach could have bonded with the players in only four months, but to knowingly do that to your former colleagues is a level of coldness that suggests there was never anything there beyond a paycheck. If it weren’t for this unfortunate drama surrounding TyLoo, the team might not be mentioned at all as having upset potential in the Challenger’s Stage. Indeed, they weren’t even the best team coming from the Asia Minor, as the Detroit Renegades, with a majority of Australian players on their roster, were also gifted an opportunity to compete at the major despite dubious geographical claims. They are a team that has actually been steadily improving domestically with the recent addition of former OpTic Gaming player Keith "NAF" Markovic. He has added some much-needed firepower and seems to have left his questionable temperament on the other side of the Green Wall. Noah "Nifty" Francis has picked up in-game leadership duties, despite being a competitive console Call of Duty player three years ago, and the fresh approach seems to be working. IEM Oakland, in November, saw them beat G2 Esports, OpTic and go close against FaZe, so they certainly can’t be discounted from at least having a say in what happens in the early stages of the tournament. It is still shocking to me that Team Liquid, whose overall Counter-Strike spending will not be that far behind FaZe’s, have had to squeeze through the minor qualifiers. Constantly plagued by internal issues, you’d be forgiven for forgetting that they have two of the best players in North America on the roster. In 2016, they were semifinalists and then finalists of the Columbus and Cologne majors respectively. As we head into 2018, they are likely to be remembered as a team whose history is a series of false dawns. 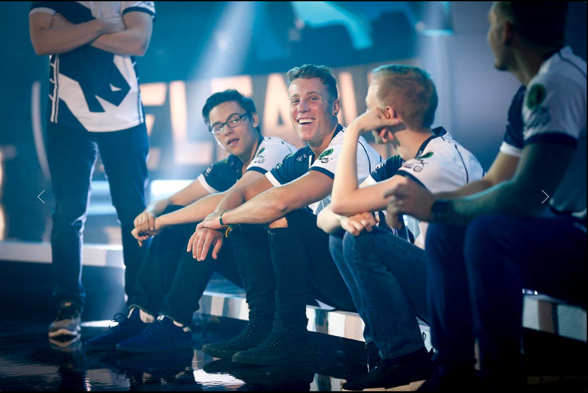 September saw the team, then with Peter “stanislaw” Jarguz, make it to back-to-back finals at events in Mykonos and New York. Pundits were suitably wowed, and people felt that they could be the team to put North America back on course to compete on a tactical level against the European elites. Of course, nothing lasts forever in Liquid. In fact, it wasn’t soon after, there were clashes with coaches, demotions and then benchings that saw another roster change, that leaves them as basically a non-factor in this event as well. In Boston, they will have to use their coach, Wilton "zews" Prado, as a stand-in, while their new addition and proposed shot caller, Lucas "steel" Lopes, watches from the sidelines. Don’t expect too much if they meet halfway decent and drilled opposition. For North American fans who can’t bring themselves to get behind their best team, Cloud9, for whatever reason, may I present Misfits as a viable alternative. After a prolonged period of being decidedly average, it finally seems that their appropriately named group of players have it together at the right time. While most of the praises will be sent the way of legendary team captain Sean “seang@res” Gares, rightly so in my opinion, a few other factors cannot go unmentioned. The first is that the two French players, who were relative unknowns who joined the team, François “AmaNEk” Delauney and David “devoduvek” Dobrosavljevic, have started to play to the standard of full-fledged North American pros. That isn’t a backhanded jab either, as taking the plunge to live abroad, especially in a team house environment, has been the end of many an esports professional over the years. Not only have we heard no grumbling about homesickness or missing creature comforts, they’ve also been performing well in pick-up games and have attained a level of notoriety among their peers as a result. Adding solid LAN performances against top teams was the next box to tick, and they did that at the ESL Pro League Finals in Odense this month. Instrumental in wins over NRG, NiP, North and HellRaisers, they only fell short of the standard against SK Gaming, which is a fate that befalls most professional players as a rule. The second reason to get behind Misfits is that, even though he has played the role of pantomime villain for most of his career, Shahzeb 'ShahZaM' Khan is also now making a solid case that he is the best AWPer in North America in current form. I’ve dished that accolade out a lot and it’s usually been a poisoned chalice – rest well Kenneth 'koosta' Suen – but right now it feels like the right thing to say. The past two months or so have seen Khan outperform the likes of Josh “jdm64” Marzano and Tyler "Skadoodle" Latham when placed against similar level opponents, and after you’ve been compared to those guys, there’s not really many others worthy of note. NRG’s Bulgarian import Cvetelin "CeRq" Dimitrov has been an impressive acquisition, and one to watch, but with NRG not making it through the Minor system, he won’t be present at the major even if NA wanted to embrace him as one of their own. So yes, Misfits under the guidance of Gares could well be a welcome surprise for North American fans, but the European qualifiers probably threw out the teams I would genuinely expect to surprise people. You’ve got to hand it to Space Soldiers, for example, as they are a team spited by many fans for reasons that probably aren’t of any value to analyze. 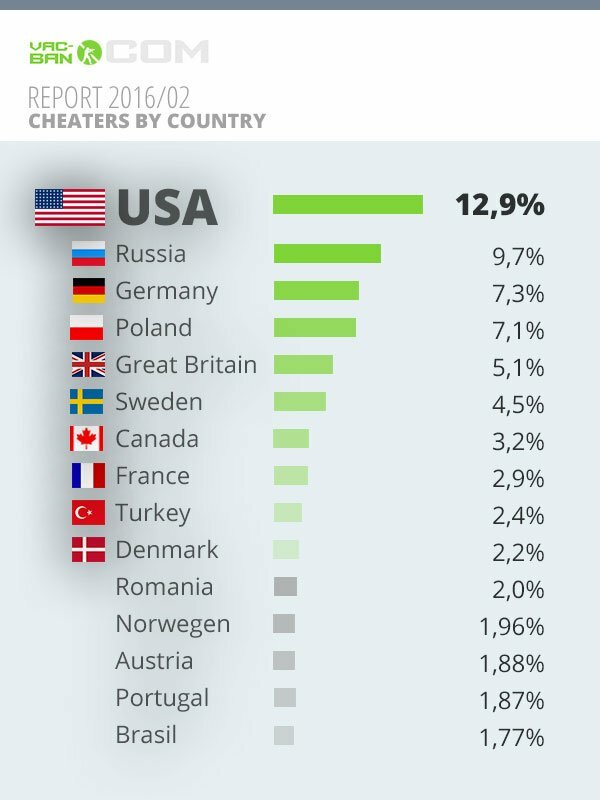 You know, it’s the usual stuff, like they’re from a country that hasn’t had great representation through the years (Turkey) and a region that is in the top ten for banned players, (https://pbs.twimg.com/media/CdijiLyXIAAiTYe.jpg) so when a team comes along that does incredibly well online, well, you know how that goes. The fact that the team houses Ismailcan 'XANTARES' Dörtkardeş, a player who has for a long time been heralded as a prodigious talent and one we can now say is legitimate, was also a cause for much irritation among the fans of more established talent. Yet, this team managed to come through a tough minor qualifier, beating EnVyUs twice and OpTic once in best of three series to come out on top. The caliber of opposition they will face here will be like nothing ever before, but if I had to make one bold prediction for this major, I’d feel comfortable saying Space Soldiers will be in the last sixteen. 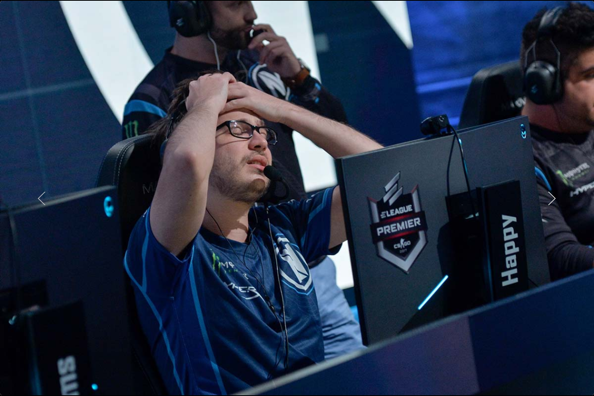 EnVyUs scraped through as well, but certainly come to this event with the same old problems. An in-game leader who doesn’t really seem to want to lead in Vincent "Happy" Cervoni Schopenhauer, with a playstyle that infuriates the casual watcher and quite possibly his own teammates. They bring the world’s most one-dimensional star-player of all time in the form of Adil “ScreaM“ Benrlitom, the headshot machine that doesn’t have a back-up program when heads are not presenting themselves. They also bring an AWPer that can’t really AWP in the form of Christophe “SIXER” Xia, a shadow of his former 1.6 self. Yet, somehow, they are here, and they do have something, a way of becoming greater than the sum of their parts that they don’t know how to consistently replicate. Mostly, this is down to the CS:GO career-best form of Cédric "RpK" Guipouy. He has consistently rescued rounds, and by extension matches, for his team, doing things that have made him stand out as the best French player in the second half of 2017, for me at least. If he continues next year the way he has ended this one, EnVyUs could get into the business end of the competition with help from some favorable draws.